Do you feel stuck in the city? Need something new and rewarding to do with your family? Are the kids bored to death or glued to the couch with a tablet in their hands? How much did you pay to take your family to a movie the last time, and after spending all that cash, was it worth it? We have a solution to your problem. It’s called “Back To The Country”. At Wheel of Fortune Ranch we guarantee you and the kids will have a wonderful experience. Simply seeing all the cute and interesting animals will be worth a trip out. Then, if you are truly tired of the kids complaining all the time about ‘nothing to do’, or if you feel they could use a good dose of the outdoor life, we have that here. 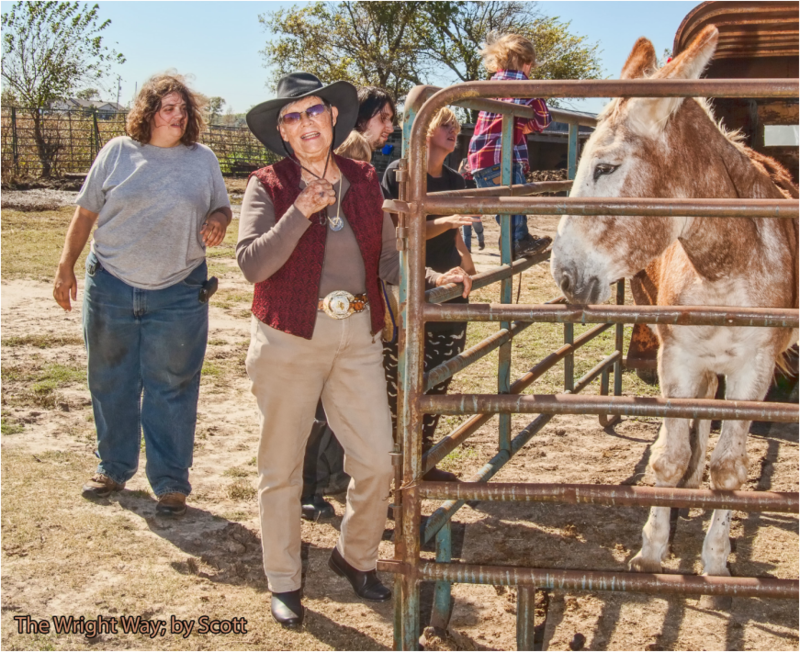 Families can volunteer here doing various chores like feeding chickens, watering horses, walking and grooming miniature horses or goats. We also have no aversion to putting a pitchfork in your or the kids’ hands to help keep the stalls and pens clean. We are a working facility and we need help. The sale of chickens, ducks, turkeys, bunnies, goats, plus birthday parties and the petting zoo help pay for the tremendous feed bills for the various animals here on the farm. We also give horseback riding lessons at a very reasonable rate -- and we teach horsemanship. We have no nose to tail pony rides here, a/k/a ‘Trail Rides’. Growing up on a farm isn't all work and no play, but I honestly believe that farm kids have a head start when it comes to building a good work ethic. Get your kids to help out at a neighboring farm this summer. The farmer will appreciate it and your kids will gain a better appreciation of where their food comes from and of the work it takes to produce it. Your kids will thank you.... some day. The word “chores” has an unfortunate negative connotation. It sounds old-fashioned and out-of-date, but really it’s one of the most important things you can do for your kid – more than driving them to ballet lessons and karate practice. Teach them how to work, how to be accountable, how to pitch in and be a contributing member at home, and you will raise adults who continue to do the same thing.